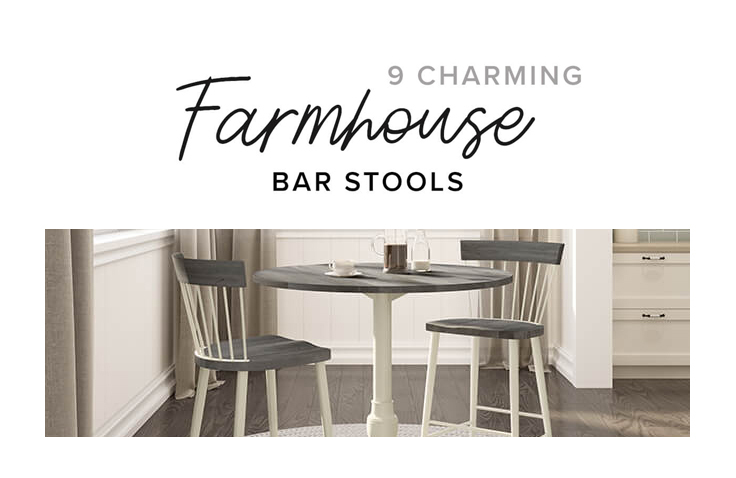 Bring charming style with these 9 Farmhouse bar stools which create a relaxing vibe and are beautiful for your kitchen. 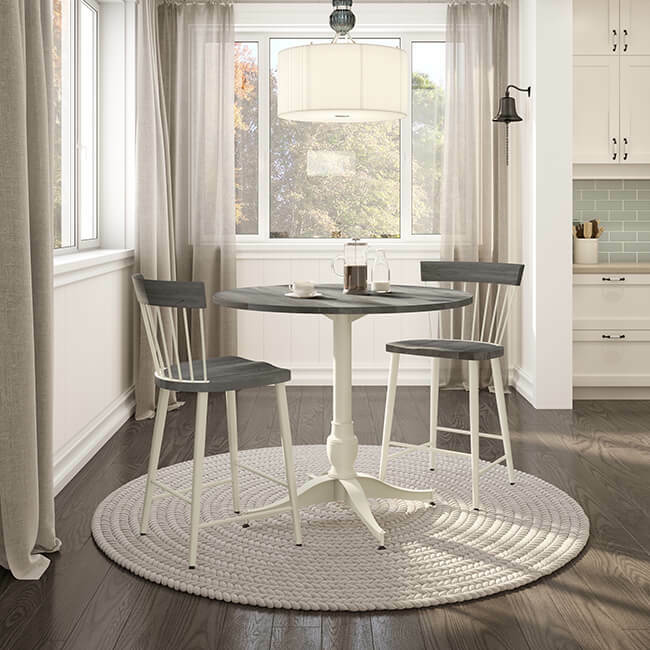 Below, are three variations of our farmhouse stools, perfect for your kitchen, dining room, or home bar. Angelina bar stools shown in modern farmhouse dining room with pub table. Bar stools are finished in a vanilla cream color and the wood is slightly distressed in a gray color. These bar stools create a relaxed vibe in this serene space. 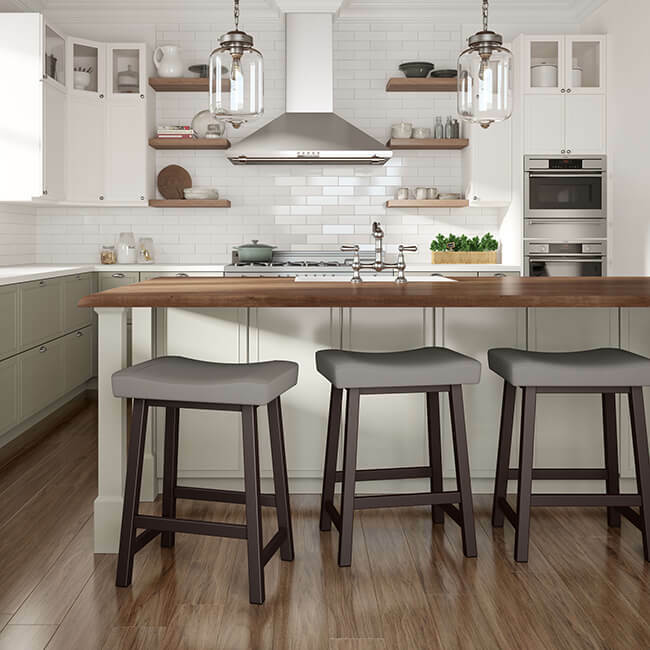 Miller backless saddle bar stools shown in modern farmhouse kitchen featuring hardwood flooring, pendant lighting, shades of whites and browns, creating an inviting space. 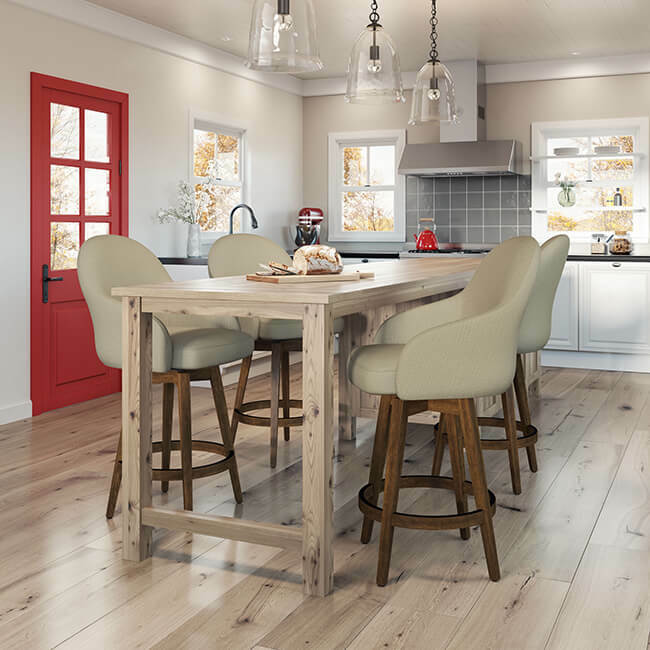 Collin swivel wood bar stools shown in a modern farmhouse kitchen with a distressed wood table, pendant lights, hardwood flooring, and a red barn door.